Share markets on Friday: Top laggards in the 30-share Sensex pack were Kotak Bank, Adani Ports, Bajaj Auto, Infosys, Asian Paints and HeroMotoCorp. Share markets on Friday: Twenty one out of 30 Sensex stocks closed in the green. Domestic stock markets registered sharp gains on Friday, breaking a three-day falling streak, in line with global equities amid sliding crude prices and a rise in the rupee. Bombay Stock Exchange (BSE) benchmark index Sensex settled at 35,673.25, up 361.12 points or 1.02 per cent from the previous close, and the Nifty50 index of the National Stock Exchange (NSE) fell 99.90 points or 0.94 per cent to end at 10,701.05. Kotak Mahindra Bank shares closed nearly 9 per cent higher, after reports that Berkshire Hathaway was planning to pick up a stake in the lender. Banking, financial services, auto and FMCG stocks led the gains. Thirty three out of the 50 stocks on the Nifty closed in the positive zone, with Kotak Mahindra Bank (+8.84 per cent) being the top gainer on the index. Other major gainers on the 50-scrip index Nifty were Bajaj Finserv (+3.17 per cent), Adani Ports (+2.76 per cent), Bajaj Auto (+2.33 per cent) and Bajaj Finance (+2.22 per cent). Twenty one out of 30 Sensex stocks finished the session higher. 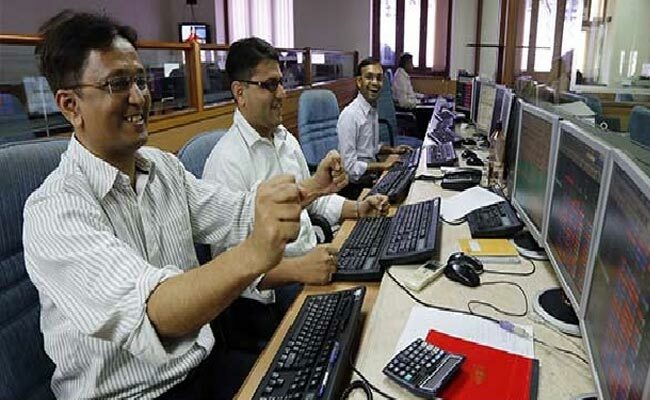 Kotak Mahindra Bank (+8.53 per cent), Adani Ports (+2.71 per cent), Bajaj Auto (+2.23 per cent), Infosys (+1.92 per cent) and Asian Paints (+1.82 per cent) were the top advancers. Kotak Mahindra Bank shares got a boost on the indices following reports that Warren Buffett's Berkshire Hathaway Inc was planning to pick up stake in the private sector lender. The private sector bank, however, denied the reports, stating that it is unaware of any such plans by Berkshire Hathaway. The markets took positive cues from Asian and European peers on upbeat global growth prospects. Federal Reserve Chairman Jerome Powell signalled that the three-year tightening cycle was drawing to a close, and International Monetary Fund chief Christine Lagarde said the US is not likely to see an economic contraction in the near term. The rupee appreciated by 24 paise to hit an intraday high of 70.66 against the US dollar, amid weakness in the greenback against some currencies overseas. Crude oil prices eased on worries that a meeting of Organization of the Petroleum Exporting Countries (OPEC) and non-OPEC producers will not lead to an agreement to reduce output. Brent crude, the international benchmark, dipped to below $60 a barrel. The government said it is hopeful that OPEC producers will keep in mind consumers' interests before deciding to cut crude oil production. Analysts will closely watch state elections exit polls results due scheduled for later Friday. On the other hand, software services firm HCL Technologies plunged after the IT company agreed to buy some software assets from International Business Machines (IBM) for $1.80 billion. Shares of the company settled 4.98 per cent lower on the BSE.